Local breweries such as Pasadena’s Craftsman Brewing, the Bruery in Placentia and Dale Bros. Brewery in Upland are putting their twist on the regional-beer movement. It’s been 75 years since actress Jean Harlow christened the Los Angeles Brewing Co.’s first shipment of Eastside beer after the repeal of Prohibition. Beer making in L.A. has been sporadic since then, but there are signs that a craft brew revolution is brewing. Although breweries in San Diego County such as Stone Brewing Co. and AleSmith Brewing Co. as well as Central Coast brewers such as Firestone Walker Brewing Co. and the newer Telegraph Brewing Co. have been the major players on the California beer scene, the trend toward local breweries had largely bypassed the regions in between. But now, helped along by ever-increasing numbers of bars and gastro pubs showcasing American craft brews and rare imported varieties, a local movement is underway, with at least a dozen breweries turning out barrels in Los Angeles and Orange counties and the Inland Empire. Pasadena’s Craftsman Brewing Co., a relative old-timer at 13, recently doubled production and has plans to soon add bottles to its keg-only operation. Last year, Patrick Rue and his wife, Rachel, started the Bruery in Placentia, specializing in aged Belgian-style beers, often with unusual flavorings. Since last year, Dale Bros. Brewery in Upland has tripled production of its California-style beer, which emphasizes toasty, malty, hoppy flavors, and Deans Brothers Brewing Co., which brews in Upland and Irvine, is drawing attention for its traditional British approach, made in richer stout, porter and extra special bitter styles. In addition, within the famously bureaucratic L.A. city limits, two breweries are working on getting approvals to open. Eagle Rock Brewery has turned a warehouse in Eagle Rock-adjacent Glassell Park into a microbrewery and downtown’s Nibble Bit Tabby hit a financing glitch during the credit crisis but hopes to open soon. Add to these 2-year-old Skyscraper Brewing Co. in El Monte, 8-year-old Left Coast Brewing Co. in San Clemente, 13-year-old Bayhawk Ales in Irvine, Torrance’s Angel City Brewing and Red Car brew pub, and the one-beer Great Beer Co. (Hollywood Blonde) in Chatsworth, and it’s clear the local craft beer movement is gaining traction. Brew pubs (which usually sell their beer only on the premises) and microbreweries (which sell bottles and kegs to restaurants and retail outlets) have come and gone in L.A. — most notably, Wolfgang Puck’s lavish Eureka, which closed in 1992. But in the last two years, some restaurants have started giving almost as much attention to their beer lists as their wine lists. 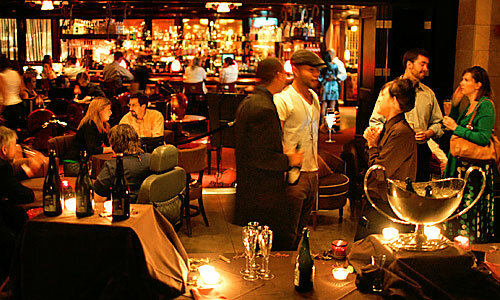 Upscale spots such as West Hollywood’s BLT Steak have California microbrews on tap, and wine bars such as Melrose’s Lou on Vine and Glendale’s Palate Food + Wine seek out limited-production beers. Lately, savvy and enthusiastic bartenders at venues including the recently opened Blue Palms Brewhouse in Hollywood, Verdugo Bar in Glassell Park, 3rd Stop in Los Angeles, Crow Bar and Kitchen in Corona del Mar and vegan restaurant Pure Luck near Melrose and Vermont avenues are persuading even calorie-phobic young women to try beers with sophisticated flavors such as ginger and sage. The new wave of beer-friendly bars and eateries sees a demand for locally sourced products. “Eagle Rock Brewery is going to get a lot of people very interested,” says Verdugo owner Ryan Sweeney. Beer-loving patrons, accustomed to finding such handcrafted items as pickles and butter at the new wave of farm-to-table L.A. restaurants, are primed to try drinking locally. 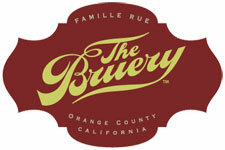 In Placentia, the Bruery has been in operation for only a year but is fast gaining a reputation for experimental Belgian beers. After finishing law school, 28-year-old owner Patrick Rue decided to brew cases instead of argue them. This year he’ll turn out more than 600 barrels of Belgian brews, including Trade Winds Trippel, flavored with Thai basil. “The Belgian style offers a lot of opportunities for creating and flexibility,” Rue says. “They’re not afraid of using flowers and spices and wild yeasts.” Some varieties are barrel-aged as long as wine — from six to 36 months — compared with less than a month for most beers. “A lot of people are trying something new and becoming beer geeks,” says Rue, who has partnered with Costa Mesa’s Savannah restaurant for beer-pairing dinners. “People want local products,” he says. The Bruery’s black wheat Berliner Weiss is gaining attention from local bar owners, because with a low 3% alcohol content but lots of malty body, it’s less potent but still flavorful. Rue’s version of sour beer, Flemish Red, has deep malt and cherry flavors and a hint of the oak in which it ages. Hidden in an Upland warehouse, 5-year-old Dale Bros. is a boutique operation, focusing on “balanced beers, session beers you can drink more than one of at a sitting,” says brewer Curtis Dale. Curtis and his brother, Andy, a former film postproduction executive, will brew about 600 barrels this year, nearly triple last year’s production. Dale Bros. partners with Skyscraper Brewing for distribution in bars and liquor stores throughout the greater L.A area. Eagle Rock Brewery’s Jeremy Raub and his father, Steve, have long been home brewers, and two years ago decided to go commercial. “We realized this is what we’re supposed to be doing,” says Steve Raub. Jeremy Raub, a film sound editor, is building out the brewery in a commercial building near San Fernando Road. After having learned how to deal with substantial city red tape, he hopes to open in early 2009, specializing in brews representing the great beer traditions of England, Germany and Belgium. The Glassell Park community has been supportive of the brewery, which will have a tasting room featuring Eagle Rock’s house beers, outside beers and possibly light snacks. Saperstein is a freelancer writer.